No. 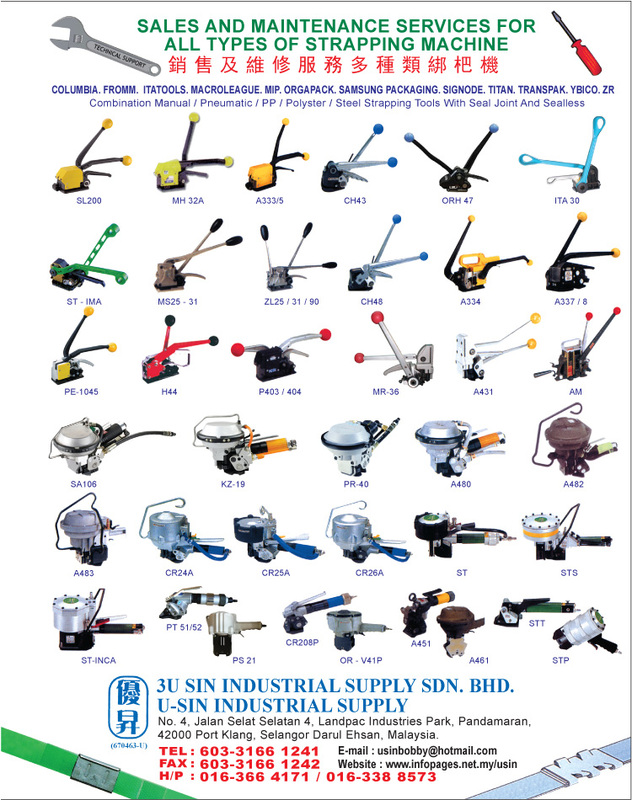 4, Jalan Selat Selatan 4, Landpac Industries Park, Pandamaran, 42000 Port Klang, Selangor, Malaysia. 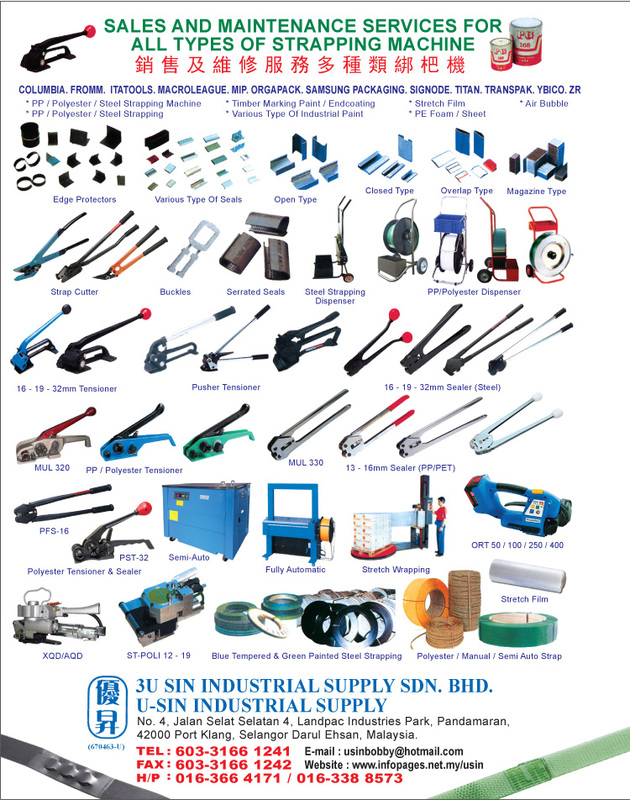 3U Sin Industrial Supply Sdn Bhd has strapping machines to suit all industrial applications. 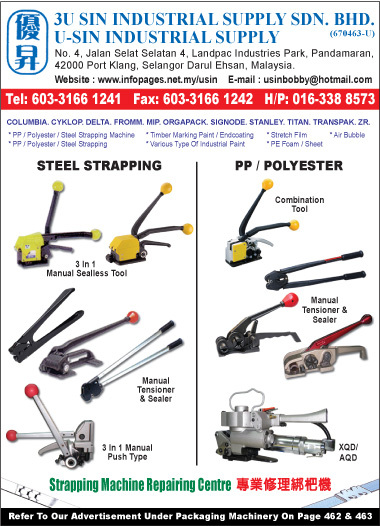 We offer a full range of fully automatic, automatic, and semi automatic strapping machines. We also sales and maintenance services for all types of strapping machine and steel strapping tools with seal joint and sealless.